I probably have not heard of the term shoe tree before, not until I came across this E-commence platform called SHOETREE Singapore. My curiosity was seriously pounding me hard to google the word sheo tree, finding out if such a term do exist. In fact I need not google Shoetree at all since the webpage not only serves as an E-commence platform, but also provide loads of other information in regards to leather shoes/products. 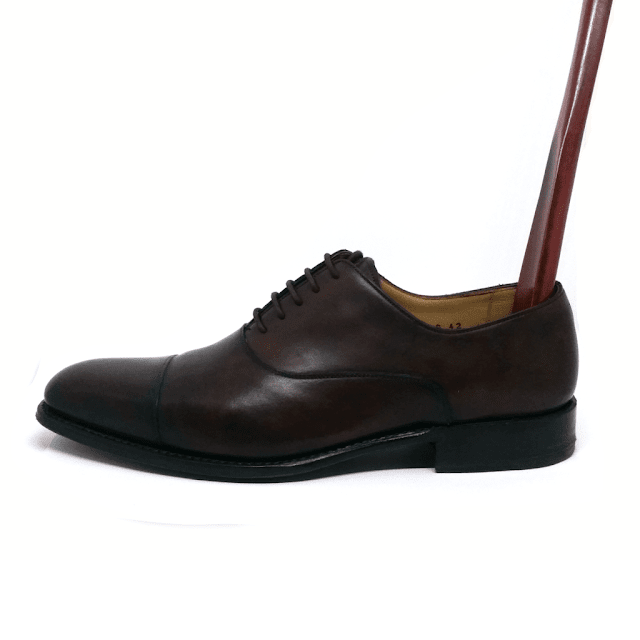 Interesting articles such such as "How To Care For Leather Shoes And Make Them Last A Lifetime", "Things To Look Out For When Buying Leather" and "Shoe Tree Guide" definitely do provide useful insights to end consumers. Recently, I got my hands on the varnished Japanese Oakwood Shep Horn as shown below. Probably my main reason for wanting this 40cm long tool would be the convenience of sliding my feet into my pair of leather sheos without the need to squat down or retying my laces. By using the sheo horn, it would also prevent crease marks made on the sheos by repeatly forcing of feets into them. 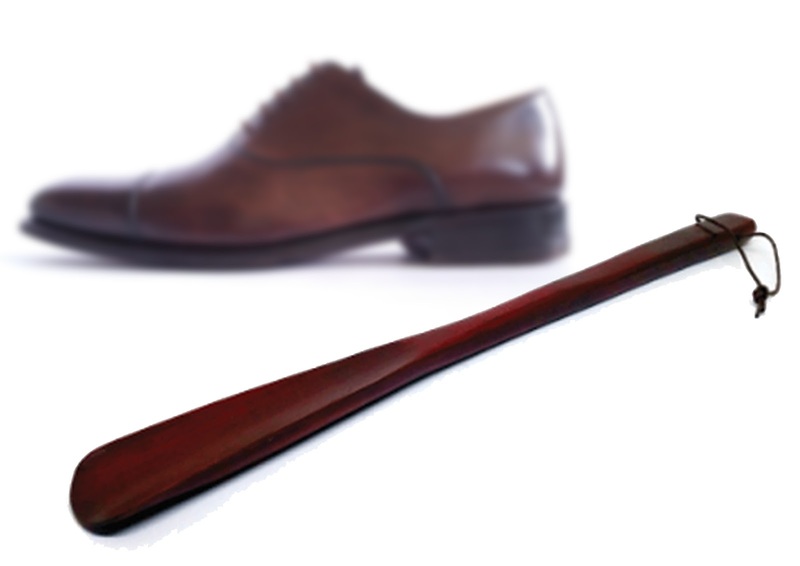 Another thing I love about this Shoe Horn would be the aesthetically beautiful natural Japanese Oakwood it is made from, coated with a thin layer of varnish that protects it from absorbing water or getting mouldy. Unlike plastic and metal shoe horns, you do not have to worry about snapping, bending or rusting over time. Shoetree Singapore provide FREE delievery service within Singapore and all Sheotree project accessories are automatically registered for a 6 month warrenty. Do check out their webpage here! 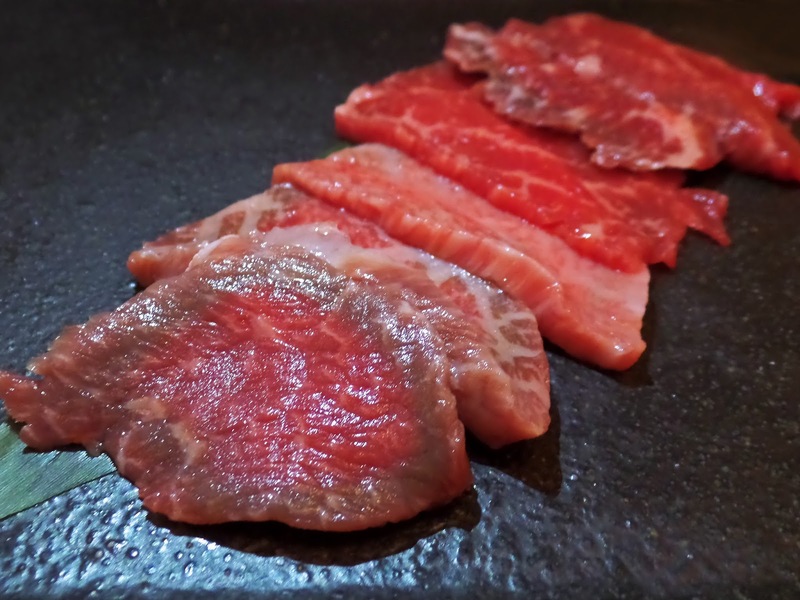 Niku Katsumata 肉勝又 is a hole in the wall restaurant along Duxton Road that carries a range of A4 Wagyu Beef. They recently launched one of the best value-for-money A4 Wagyu Beef Set(S$38) that comprises of 5 dishes. The meal started off with 2 slices of Japanese Pork Prosciutto, followed by Homemade Kimchi and Marinated Sprouts. Chinese Cabbage Salad Topped with Umami Seaweed might looked rather mundane but it was rather refreshing and the Umami Seaweed proved itself worthy with its dry-plum-like texture and savoury notes. A platter of 5 different parts of Premium A4 Wagyu Beef was served next, each individually barbecued over the smoke-less crystal glass by the chef himself. Thighs were my top pick since they literally melted in my mouth without much chewing effort. 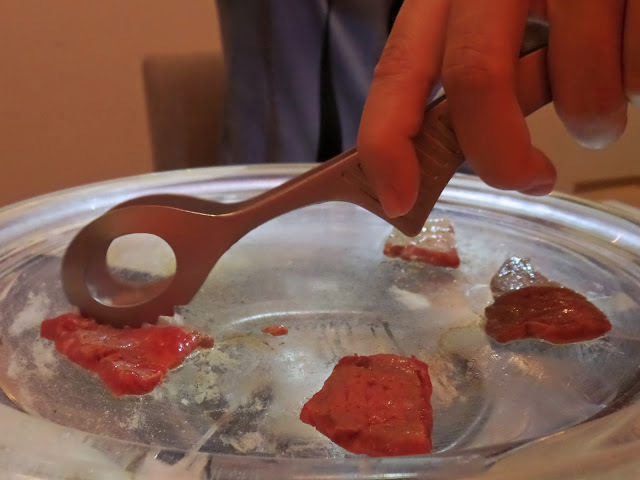 Do seek advice on which cut would taste their best in either their homemade ponzu sauce or salt! Last but not least from the set would be the A4 Beef Curry that contained minced beef. 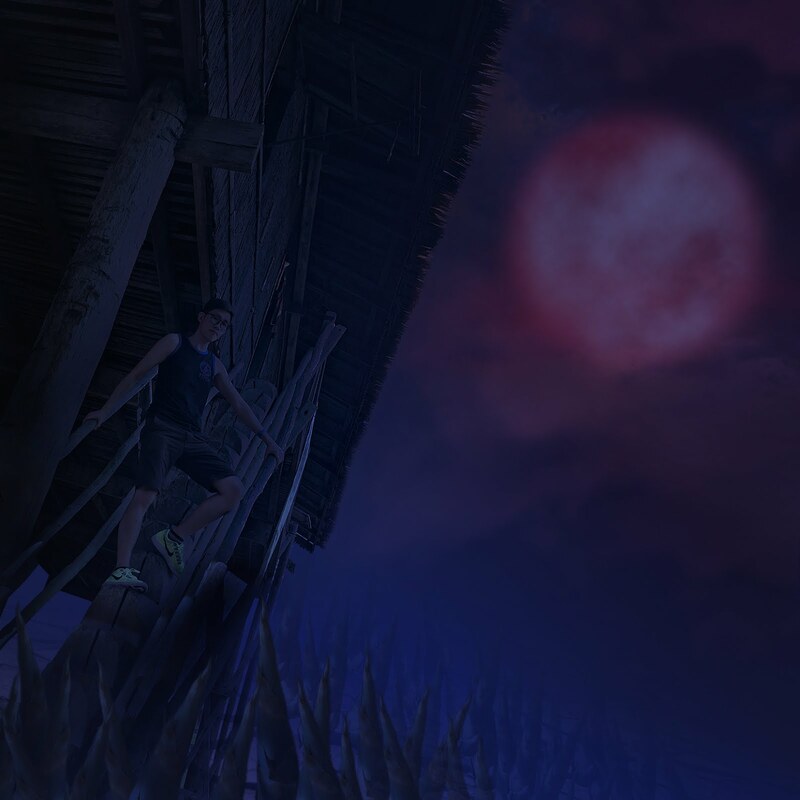 It was definitely highly addictive despite its appearance. How could curry look appealing in the first place? 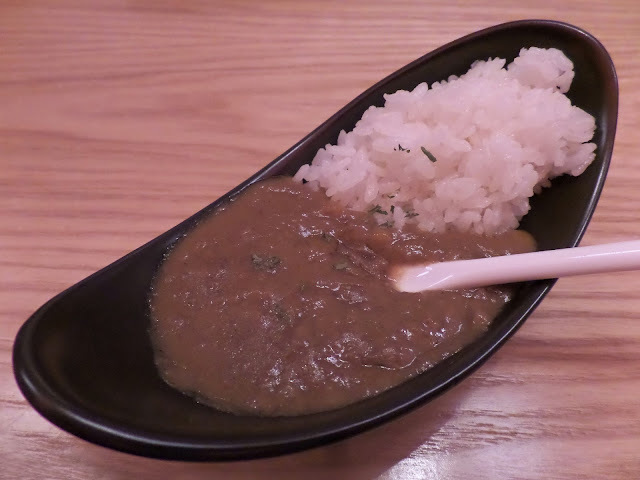 Besides the A4 Wagyu Beef Set, I got to try 2 other dishes as well. The Chef’s Special Appetiser (S$19) consisting of 3 spoonful of foodgasms. 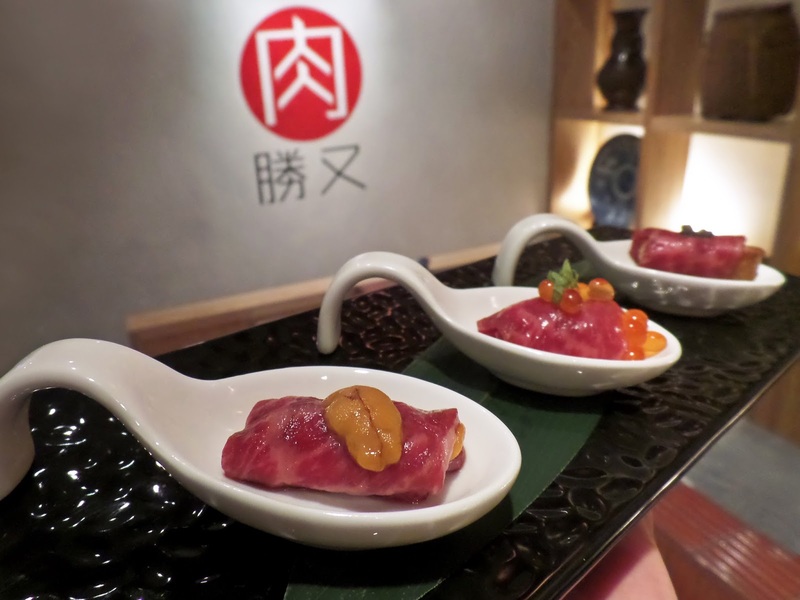 My favourite was the Uni (sea urchin) wrapped with A4 wagyu beef sashimi, gently brushed with shoyu. It was a total meltdown as I felt that both premium components fused easily together. 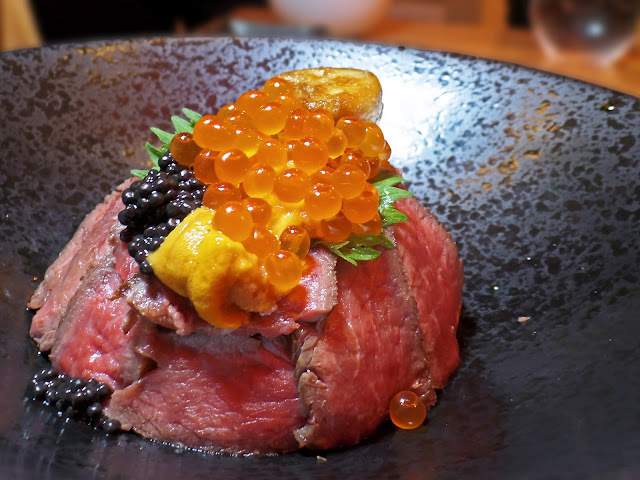 The other two were Foie Gras & Caviar drizzled with truffle oil and marinated ikura.